If you have noticed, King Khan Shahrukh always thanks women in every speech of his, be it awards or any other public event. If you have noticed, King Khan Shahrukh always thanks women in every speech of his, be it awards or any other public event. These women include his wife, daughter, mother, grandmother and his colleagues in the industry. 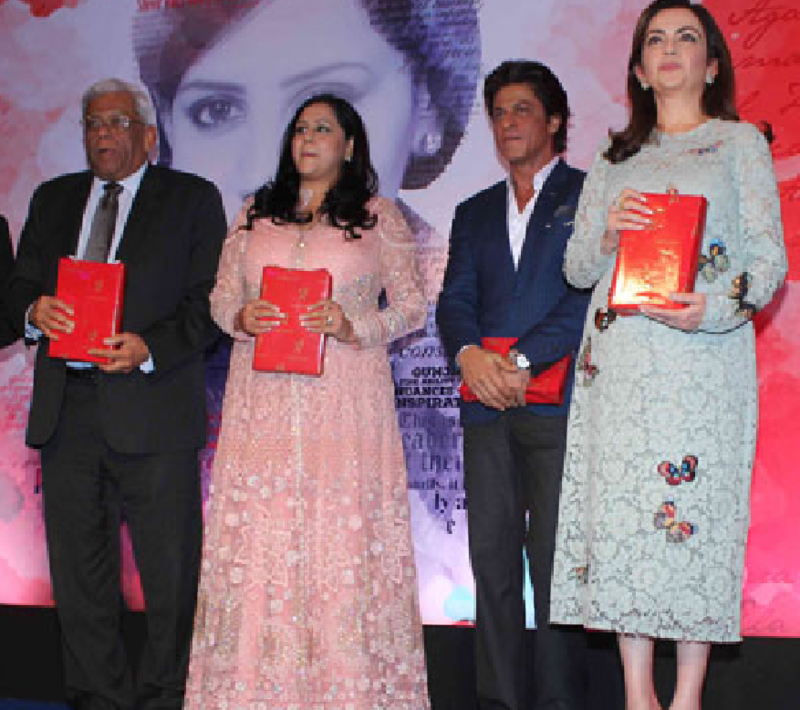 Yesterday, when he was invited for the launch of Gunjan Jain’s book “She Walks, She Leads”- a book profiling 24 women from different walks of life including Nita Ambani and Swati Piramal, he had some kind words about women. "My life has been completely shaped by women, starting from my grandmother to my daughter now and in between my wife, aunts, didi's in colonies, my leading ladies and women directors with whom I have worked," SRK said. He added, “They have helped me achieve 100 per cent of what I am today. I wouldn’t be half a man without these women. I owe my life to them,”. "The amount of sensitivity I have, the goodness in me has been led by the women in my life, about whom I will one day perhaps write a book," he said. SRK was last seen at the book launch of Sania Mirza’s autobiography and now here. Soon enough, Mr. Khan, who is also writing his autobiography, will be seen revealing it. "...For girls who have made mistakes, and had regrets galore, the girls who may not win but always get up from the floor. The girls who take life as it comes, the girls who have broken the code." "For the girls who hope that it will get better somewhere down the road, let your steps be a dance and jump into this world. You are beautiful, because you fight like a girl...," he recited."